One of the baby patterns that is often requested are knitted baby booties. But an easy baby bootie knitting pattern comes in first. People seem intimidated to knit something so tiny or so tight quartered. I can understand that. Especially back when your only option was to use double pointed needles or to knit them in the round. But what about knitting them flat. 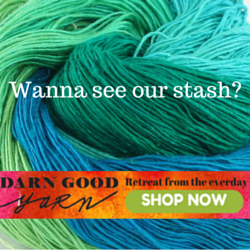 Like any other piece you might knit? And what about making them using only the most basic stitches? Yes, that’s what I said, basic stitches, knit flat on single point knitting needles. And you can finish the whole thing in an evening of knitting while watching television. It is that easy. I have the free knitting pattern for baby booties below with some assist from me, giving you pictures of my knitting of this pattern to show you the steps. I hope you enjoy this free and easy baby bootie knitting pattern and tutorial. Sweet baby booties knitting pattern on straight needles may quickly become your favorite. 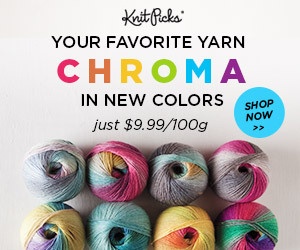 Yarn: soft baby yarn, any color. Note: Using heavier yarn or larger needles, one or two sizes, would make this Ribbed Toe Baby Bootie Knitting Pattern larger. Or you could actually cast on more stitches since there is not a pattern that requires a count, just make it an even number. You can experiment to find the size you like. Some people prefer to give newborn size knitted booties because baby will eventually go to socks when they become more active, And these sweet, 2 needle baby booties are perfect gifts for a baby shower when mother is going to want to dress her soon arriving new little one. Bind off 8 sts at the start of the row. Repeat this four row pattern until piece measures 9 inches from the cast on edge. Bind off. Leave a long piece of yarn to sew seams with. NOTE: Again a suggestion in this area is to do what works for you to keep track of where you are. I used a pen and paper to just keep track of the count, k,k p,p k,k, p,p. Believe it or not you can get lost. Now, sew the bottom seam. Just a straight seam. Next, attach you yarn at one side of the toes, about 1/2 inch up the front side. and do a running stitch all the way around the toes and up the front on the other side. Now, pull it tight into a ‘rosebud’ on top of the bootie and secure it with a knot. Success! Just fold back the top over the heel and slip your baby’s foot right in. Repeat for the second bootie. I tried to take pictures as I went along to help you see what was what. I hope you enjoy making these cute little booties for yourself or gifting to someone else.